It takes a special car to transport the leader of our great nation. 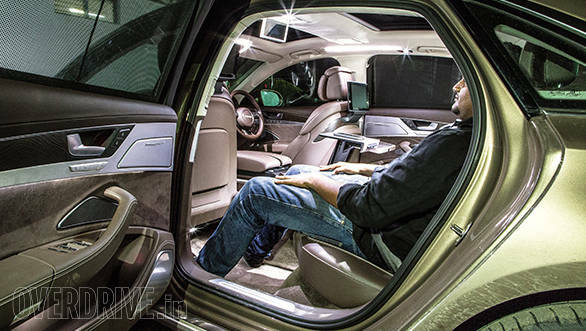 After all, he's far from the average luxury automobile buyer and his requirements of his vehicle, not least in terms of security, are very, very different. For example, he never, ever, has to worry about traffic. And being seen, is automatic and even required rather than something he has to work towards or aim for. Our newly elected leader has just chosen a specially armoured BMW 7 Series. Is that the best choice though? 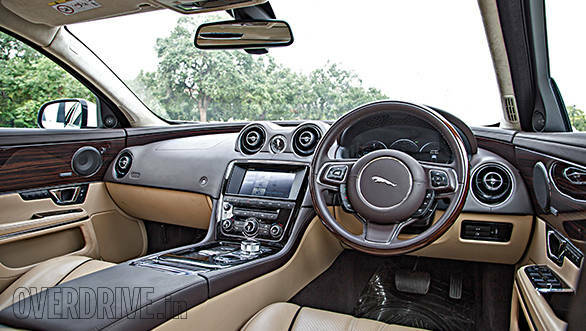 India today offers one the choice of many other luxury saloons, cars that are the absolute cream of the global crop. 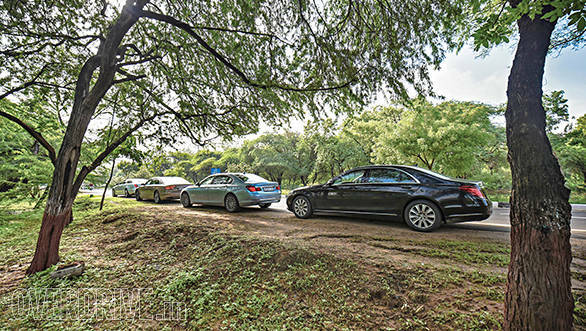 We decided to drive the BMW 7 Series and its closest rivals - the Audi A8 L, Jaguar XJ L and the Mercedes-Benz S-Class from our Prime Minister's place of birth, Vadnagar, a small town in Gujarat, to New Delhi, the national capital. From where he began to his new office. We followed the journey of a boy who helped his father sell tea at Vadnagar's railway station to its current peak. 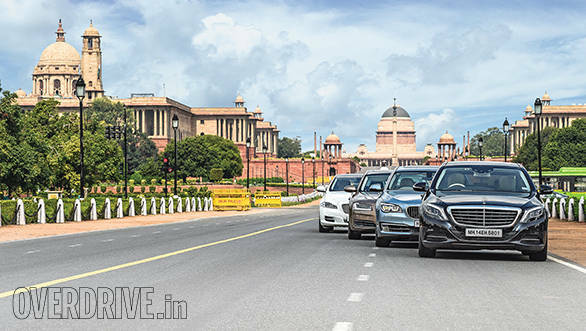 So which car suits the country's ultimate seat of power? Vadnagar was the earliest capital of Gujarat and the history of the town goes back to more than 2,500 years. Today it is a crowded town. So crowded that our limousines barely fit as we drive into the railway station where The journey, and our journey begins. "Is Narendra Bhai here?" . . . "Modiji!". . . "Are you making a documentary on Modiji?". . . "Humko bhi TV mein daal do". . . The questions and requests are endless as the crowds gather to see cars that absolutely ooze power and status. Everybody knows that we aren't here for the history of Vadnagar, we're here because a tea seller's lad became the toast of the largest democracy in the world. Watching the cars navigate the thick crowd, I'm glad, for the first time ever, that I'm not driving. This test requires me to sit in the back seat, order people around and make decisions that will alter the future of our test. Mody ji! Take us to the station master now. Jamshedbhai, inform them of our imminent arrival. With one Parsi and one Gujarati OD staffer now deployed I can think about matters of global importance. 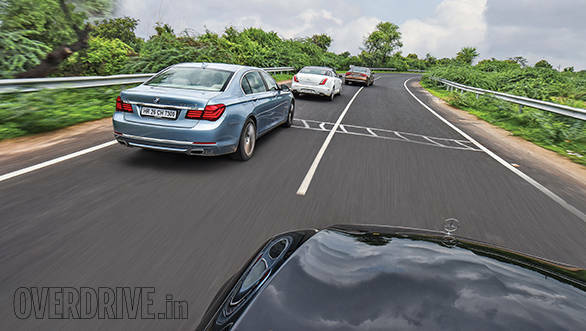 Of these four cars, three are diesels while the BMW is the all-new hybrid version of the 7 Series. All do have petrol siblings if you want them, while some can even be ordered in special armoured versions for those who think someone's eventually going to try to harm them. I like the Jaguar's styling. It's been around for a while but it looks fresh and very exclusive. The fastback coupe-like roof line and the muscular lines along with sleek highlights make it the coolest looking long wheelbase luxury saloon out there. If we wanted our Prime Minister to step out of the most attractive car, the XJ L would probably be the one for him. But his car shouldn't compete with him for attention, right? 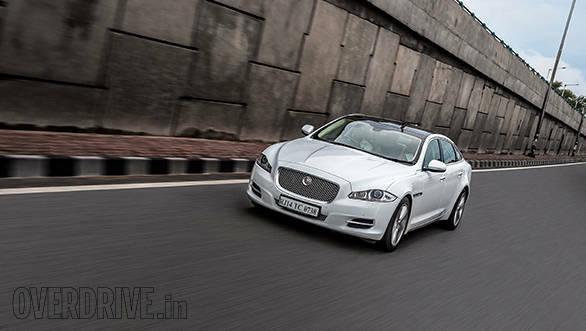 The British car is, of course, by extension an Indian car. If the PM prefers to go the indigenous way - as most international leaders do - the XJ L might just be the best bet. You will fall in love with the interior too - it's really great. The quality of materials and the textures used is exquisite and the unique design and distinctive styling make it stand out from the crowd. The only downside is probably rear passenger space. Not that there is a severe lack of it - this is a luxury car after all - but given that this is a long wheelbase version, I expected a lot more room. Room enough to at least rival the Germans, especially once you recline the seatbacks. 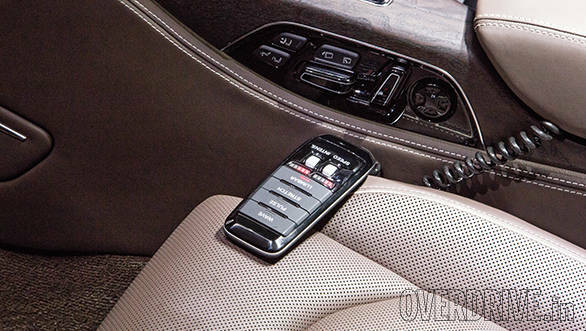 The XJ L even features massage seats with three modes, it isn't the most effective here but it is standard equipment. Head room has increased slightly in this updated model and is quite impressive considering the sloping roof. That's the state of the union, Jack. Let's go for a tour of the Germans now. The Audi A8 L is also a long wheelbase version of Ingolstadt's flagship limousine. It adopts some of Audi's most cutting edge technology, from Audi's motorsport division for example. The diesel engine owes technology to the Le Mans winning car. The car is, of course, an all-wheel drive. With quattro, Audi's brand name for this technology, the A8 L stands out because all the other cars are rear-wheel drive. Unlike the Jaguar's flourish, Audi prefers a more understated but very powerful design language. The exterior design follows a straight and flat theme. There aren't any unnecessary bulges and it's a simple yet strongly muscular form. 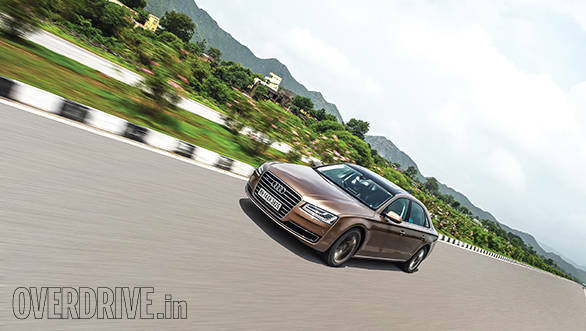 If the PM wants to be discreet but travel in comfort, the A8 may be the right car. Comfort? The back seat reclines and once you do, there's an electrically operated footrest for your legs and acres of room. 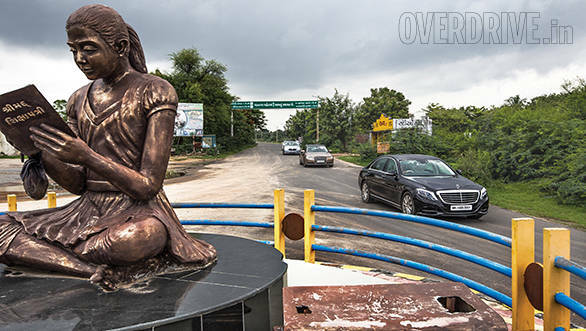 The drive from Vadnagar to the Delhi highway takes you through some bumpy and broken roads. All the cars feature air suspension, but the Audi is more comfortable than the Jaguar and I found myself spending more time in the A8. The back of the A8 L is a powerful place to be. 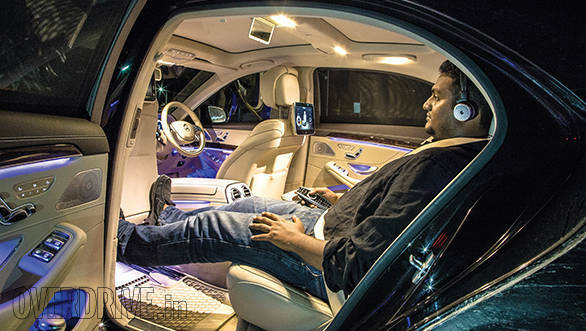 You have all the controls at your hand and you don't need to rely on voice commands like, "Driver, turn up the music." Or "Alan, stop eating chips!" You get your own MMI system controller that allows you to operate various settings and functions. 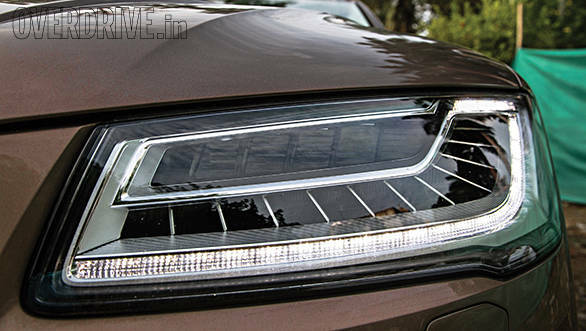 The A8 L is lovely and it just received a top-up which brought the optional matrix headlamps. But sometimes, it's just too subtle a design and come 2016, there will be a new A8. Should our leader not have the freshest and just minted? Enter the BMW ActiveHybrid 7. 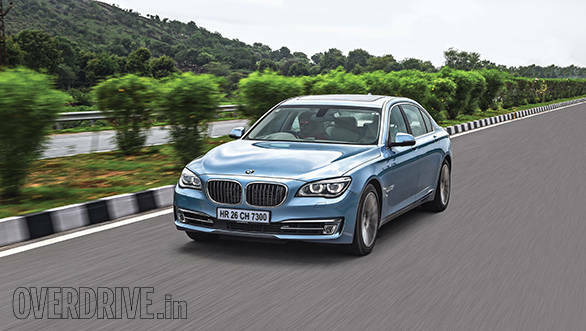 It is the only hybrid in the segment right now and as we've noted, politics is about making statements. And saving the planet is a very powerful statement. Luckily, a hybrid is a far more interesting way to save the planet than hugging trees and painting slogans. Because a hybrid, effectively has two sources of power. 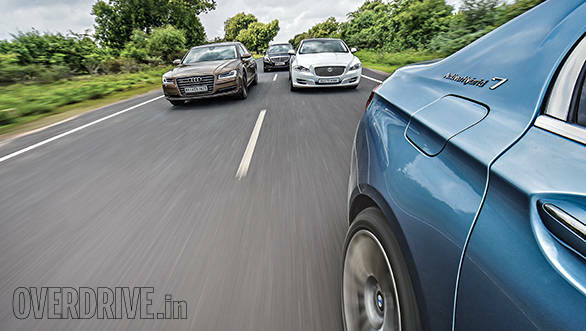 Which makes the ActiveHybrid 7 the quickest of these cars. Does a PM hurry to a meeting? Or need to make a quick getaway? I'll tell you after you elect me. In the meantime, the back seat is very comfortable. The ride quality for one has me quite impressed, I mean, for a BMW, this car rides incredibly smooth. Hybrid aside, this is also the only petrol engine here so the 7 is fantastically quiet. If I called Barack Obama to wish him all the luck for Ferguson, he wouldn't know if I was calling from Race Course Road, Delhi or from the 7's rear seat. Between the silence and the comfort, I did a most unparliamentary thing actually. I fell asleep once we hit the highway. "Rishaad, wake me when Obama calls back." Zzz. When I open my eyes I notice that the interior doesn't feel special. The seat reclines only a bit, there is a table I can use for work but no footrest. I can get a massage but the other cars give better ones. 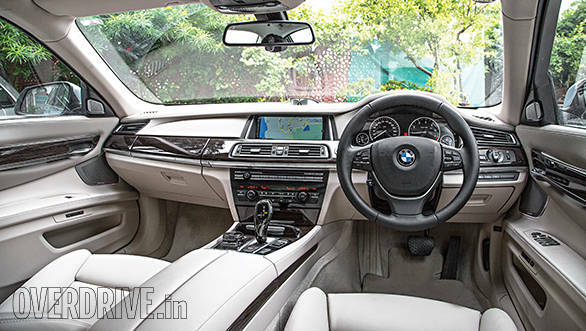 It's an extremely well-made cabin but unfortunately, it feels like any other premium BMW cabin. If I'm the PM of the world's biggest democracy, I'd like my car's insides to be more than just high quality. I'd like them to be special. Special. Begins with an S, that word. The only all-new car here is the Mercedes-Benz S-Class. And when the S gets a generation change, it's a cliche festival. It changes paradigms. It moves the goalposts. And so forth. 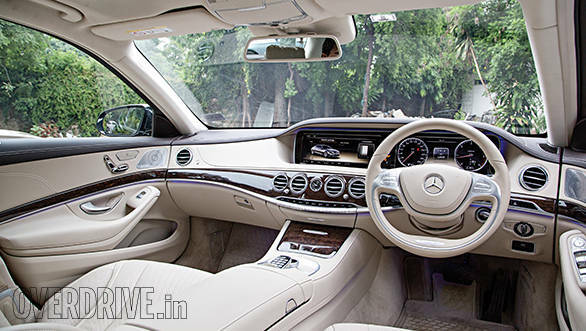 Essentially, the S-Class has traditionally been the luxury car that resets the benchmark and maps the route ahead. For Mercedes-Benz and usually, inexorably, for the rest of the automotive world. And so it is with this one, the W222. When it comes to the armoured model, this one will ferry the wealthy, the powerful of a record 90 different countries. Our PM, of course, is an exception to this. Maybe the president (Pullman S) should have a word with him. Or maybe he did. The S-Class isn't as loud as the others and is actually, actively conservative in styling. But it is also striking. But that's the skin. The interior is anything but staid. It's like the best lounge you've ever seen. It will spoil you silly. 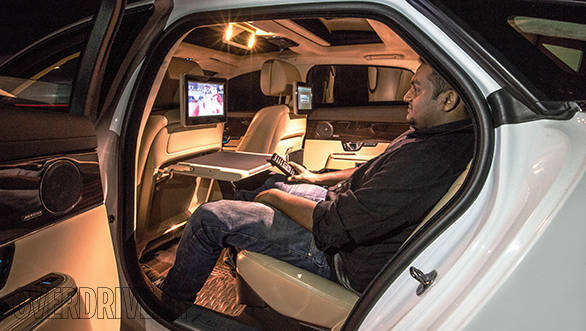 You'll want to have an S-Class parked inside Race Course Road just so you can work out of it instead of a room. 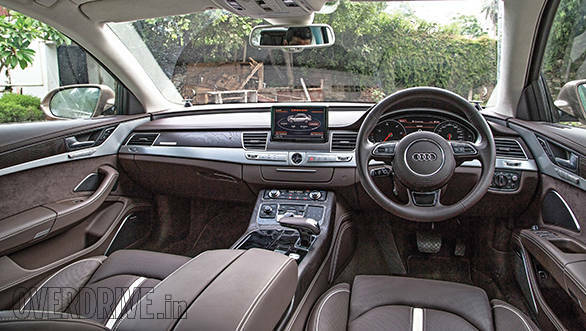 It's the car that will tempt you to take the driver's seat just for the technology-laden, extraordinarily crafted dashboard. There are two lavish 12-inch high resolution screens. You cannot use them to launch nuclear missiles but they do show you the S' instruments. Then there are the rear seats in the S. They were clearly designed from the bottom up. They are, without a doubt, the most comfortable of them all. They are also like high-end La-Z-boys. They fold, recline, heat up, cool down... there are marvellous pillows in the whiplash restraints and you can even move the front passenger seat forward to create room for your legs. So opulent and luxurious is this, that you get a footrest and you can have an ottoman as well. Everything can be controlled from the back seat. No other car here offers a hot stone massage with various programs. This isn't talk, the system is easily a generation ahead of the rest. You can even tell the system by voice command to work the upper or lower back. No you cannot, I was just checking that you're still with me. 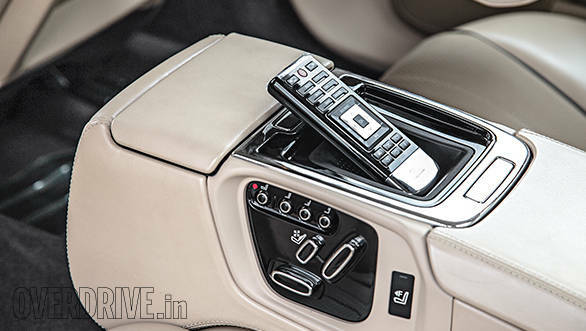 Both rear seats also get a remote control each including their own Mercedes Comand system controller. Now we absolutely have to talk about the ambient lighting. All the cars have it but the Mercedes' was designed by Pink Floyd. Or rather designed to keep up with a Floyd concert. It changes colours and the effect is amazing. No one will be able to say no to your trade proposals when you can control the very light they're basking in. "Hello, Nawazjee? We want. 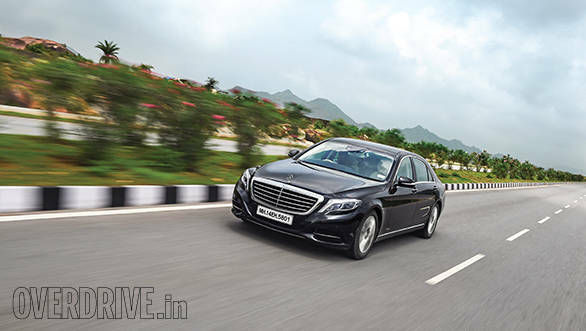 . ."
Ride quality across the cars is terrific but the Mercedes-Benz is the one with the best. 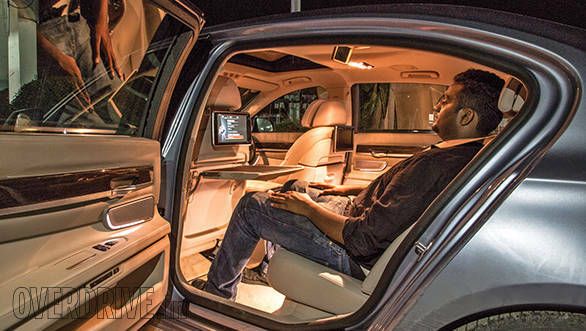 If you want comfort and isolation from the outside world, the S-Class is the place to come to. Do politicians listen to music? If they do, then the S-Class' Burmester is the one to vote for. 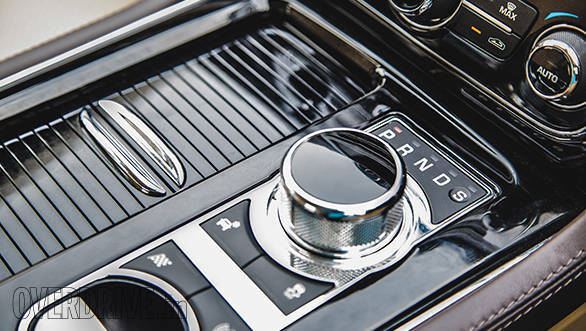 The XJ L has a hip-hop-happy Meridian. 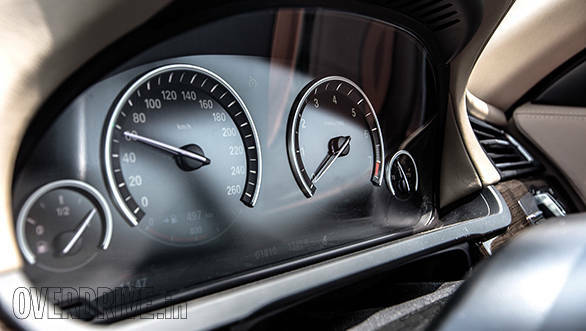 The BMW and Audi have clear Harman Kardon and Bose systems with great power but the optional Bang and Olufsens sound more rounded, more mellifluous. 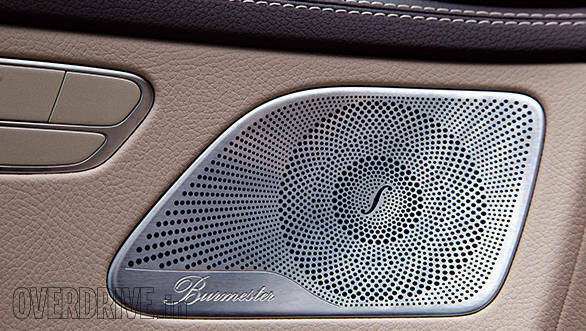 But the standard Burmester in the Mercedes is so good your ears will want to stay behind and not come out. If you get the S 500, the 24-speaker is offered as standard. To give you a comparison, the whole Parliament has just two speakers. Want video with your audio? Unfortunately for the other cars, that is also Mercedes' forte. All the cars have seat back screens but the Mercedes' units are the best. Video call with Cristina Fernández de Kirchner, the President of Argentina? Take the call in the Merc. How time passes inside these cars. While we rode in the back seat and discussed all the features of the car, a full 1,000km have passed. I don't think even the new PM has had a ride this smooth into Delhi. I haven't felt this fresh and full of energy after a long drive ever. Alan would too if he hadn't overdosed on the chips. Luxury flagship cars. There is so much to love about them. They work so hard to make your life comfortable and easy. 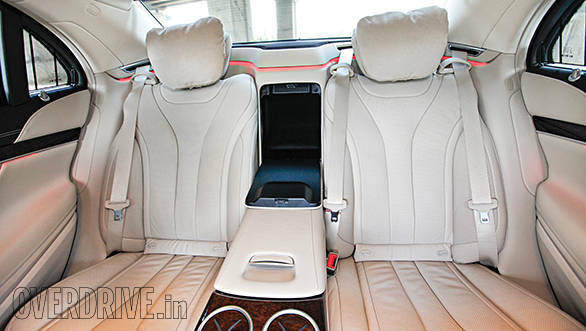 But as has been the case for a long time, the newly arrived Mercedes-Benz S-Class sets the benchmark. And it makes sense in other ways too. It offers more equipment, more gadgets and more comfort than the others while priced in the same ballpark. What about the others? The seat of power is a temporary position. Eventually everyone moves on. But at any given time there is only one seat of power.